Hope takes on a particularly important role in end of life situations. Sustaining hope can have considerable benefits for the quality of life and any prospect of a good death for the dying. However, it has proved difficult to adequately account for hope when dying, particularly in some of the more extreme end of life situations. Standard secular accounts of hope struggle to establish how the fostering of hope may be possible in such situations. This leads to a practical ethical dilemma for those caring for the dying, the ‘paradox of hope’, whereby one can either help maintain the welfare of the dying by generating a misleading ‘false hope’ or maintain truthfulness and concede that hope is not possible. These two problems combine to leave individuals the prospect of dying in terrible circumstances facing only despair. To address this, I argue that we should look beyond standard intentional or dispositional accounts of hope in such cases and treat hope as a cluster concept. Rather than appeal to a unitary conception, what we precisely mean by ‘hope’ may therefore vary depending on the context of use. I outline an account of hope based on Marcel’s account of ‘absolute’ hope but offering an alternative, secular foundation based on solidarity that can explain how hope when dying in extreme circumstances is possible. Hence, where the more familiar accounts break-down in these circumstances, ‘hope talk’ may still be possible if it is seen as relying on this conception of hope. While there has been interesting progress on refining and developing the concept of hope over recent years,1 there remains a gap in addressing how a secular account of hope might be achieved for those dying in extreme circumstances. The accounts offered seem to raise two difficulties for achieving such a goal. Firstly, although the aim is to establish general, philosophical conceptions of hope that account for our broad uses of the concept, these approaches tend to generate conceptions of hope that are narrow in scope. This is ‘narrow’ in the technical sense that hope is treated a concept that can be captured by just one particular approach to defining it, for example, that hope must be intentional or hope must be a virtuous character trait.2 Secondly, and likely due at least in part to this narrow-scope approach, these accounts also fail more directly to provide a characterisation of hope that can adequately explain how we may have hope in some of the more extreme and demanding situations that we may face. Although such extreme situations would be rare, there is clear need for an account of hope that can function in one important type of extreme situation: when dying and facing inevitable death without recourse to either religious beliefs or identifiable objects of hope. This type of situation stands out as justifying a focused attention for two reasons. One is that, given the inevitability of death, it is a situation that any individual might find themselves in. The other is that the situation also presents a practical moral dilemma for those engaged in caring for the dying. As I will discuss, I think it unlikely that further refinement of the more familiar intentional or dispositional accounts of hope is likely to yield a solution to this problem. I will therefore make a case as to how and why an additional, alternative account of hope aimed specifically at very extreme cases is a viable route to follow. To do this, I outline an account of hope that draws partly upon Gabriel Marcel’s concept of ‘absolute hope’ and partly upon the concept of solidarity. Marcel’s account is an unusual form of a dispositional account that provides an insightful approach as to how we can understand hope and despair when confronting terrible circumstances. However, it also ultimately relies upon a theistic basis and hence would preclude its applicability for those who do not hold a religious belief. I therefore outline how a secular account of hope for those dying in extreme circumstances can be established with a basis founded on solidarity. My account relies on the shared experience of death being a universal human condition, such that it allows those facing the prospect of imminent death to stand in solidarity with all those who themselves face such a prospect. An immediate concern when faced with this issue is to ask why do we need a concept of hope that can play a role primarily only to account for dying in such extreme situations? Why not simply say there are some circumstances that are so terrible we should deem them hopeless? In response, although hopelessness can be true of many aspects of life, the basic motivation for seeking such an account is precisely because there are situations that are potentially so terrible in prospect that an appeal to some sliver of hope is all that we have left in order to prevent us from descending into despair.4 As something we all come to face, the prospect of death is perhaps the most universal and likely occurrence of such an experience,5 albeit one that not everyone will face as being terrible.6 Nevertheless, coping with this prospect can be extremely challenging, especially in those cases where it may be unclear what reason we may have to continue to maintain hope.7 This concern is strongest in the most extreme cases, such as dying while experiencing intractable pain and suffering, in the absence of family or friends, while imprisoned, and such like. Yet it is these most extreme situations that seem to be exactly the ones where the maintenance of hope would be most beneficial; not only beneficial in terms of preventing a descent into despair but also beneficial to the quality of life that remains, allowing the potential for whatever limited scope for a ‘good death’ there is.8 While certain religious beliefs may help an individual look for hope in such circumstances, this will not help those who have secular views. The lack of an account of hope suited to such situations has also led to a practical dilemma facing those who care for the dying. If there is nothing we can direct our hope towards when facing only the prospect of a painful, short existence followed by death, then it would seem that the only means of maintaining hope for individuals in such terrible circumstances would be to engage in some sort of deceit about their prospects. This has led to what has been called the ‘paradox of hope’ faced by those involved in end-of-life care.9 Although not strictly a paradox, it is certainly an ethical problem that appeals to the tension arising when provision of an accurate prognosis concerning an individual’s condition would seem to be demanded in order to respect their autonomy but, in so doing, their hope may be destroyed by presenting them with an extremely bleak picture as to what awaits them. This places further tension on any benevolent duty towards a terminally ill patient that those charged with their care may have, to the point where there are numerous documented cases in practice of physicians experiencing this as a genuine practical ethics problem.10 Hence, not only is there an important conceptual question as to how we define hope; there are also important moral and practical implications as to whether any account of hope can apply in such extreme cases. If so, we would have a means of circumventing the ‘paradox of hope’ by allowing the genuine possibility of hope to be fostered in such circumstances. Although dying itself has, so far, proved to be something that we will all experience, this does not mean that it is the same for everyone. For some, the actual process of dying may go unnoticed if, for example, someone dies unexpectedly and peacefully in their sleep. Or dying may be so swift as to not allow for any notable thought or action, such as in the case of sudden death through accident. In other cases, although the dying process takes time, the individual is incapacitated to the point where they are not, as far as we know, able to cognitively grasp or even register what is happening. While all such cases result in someone’s death, the focus here is on situations where dying involves the conscious anticipation of death by the person dying. This requires a certain level of lucidity on the part of the individual and a certain amount of time in which to reflect and process the knowledge of one’s own impending death such that they are sufficiently aware they are dying and able to generate responses to that, which will include hope and despair. To understand the difficulty surrounding accounting for hope when dying, we need to first consider the familiar, standard accounts of hope that are generally utilised. Historically, our understanding of hope has progressed through both theological and secular accounts but has been predominantly viewed as something that played an instrumental role in attaining some higher goal.11 Hope has also been widely treated as intentional – a state of mind orientated towards some desired state of affairs which is believed to be attainable.12 More recent close analysis of the concept has resulted in what is now often referred to as the ‘standard account’ of hope.13 On such a standard account, hope is analysed into a belief-desire pair: a person hopes for a state-of-affairs, P, if and only if she desires that P, and believes that it is probable, though not certain, that P will come about. This pairing of beliefs and desires gives us a useful and intuitive account that can explain many of the common uses of the term ‘hope’. For example, “I hope to catch the train on time” can be analysed as my having a desire to catch the train on time, and also possessing the belief that it’s possible (but not certain) that I will do so. All sorts of variations can be understood in the same way. In each, the focus is on capturing the propositional content with a general form of “I hope that a state of affairs obtains”. It is also worth emphasising that dying may not always pose a problem for such established accounts of hope. In some instances, the standard account of hope is all that is needed. For example, a person can know they are dying and can find hope in the achievements of those around them, such as hope in the continued success of one’s family after one’s death, or hope in some identifiable goal in dying, such as hope in some personal formulation of what would count as a good death. All of these can be accommodated within the standard accounts of hope because there is an object of hope to rationally hope-for or hope-in. However, some extreme cases involving terminal illness can create situations where the probability of a desired outcome happening would be vanishingly small or zero. On the standard account of hope, any such hopes would be irrational ones – they are false hopes – because there is no rational probability of their ever coming to be. Yet without hope, such a person might live out what time remains to her in a state of despairing misery. At this point, a supporter of the standard account might wish to make a defence along the following lines: hope when dying should place emphasis on elements that are not about unachievable goals, such as a cure, but instead be about realistic, if more modest, achievements such as attaining a certain quality of life or the readying of oneself for a good death. In many ways, hoping for such achievable outcomes is no different (in the sense of how we hope) from hoping for a cure. We need no special account of hope to understand that someone who is dying and has a terminal illness can hope for amelioration of their condition, for pain relief, or for all sorts of tangible occurrences that may be achievable.14 What is more pressing is when we consider the most extreme cases of living with the diagnosis of a terminal illness not only with no genuine prospect of a cure but also in a condition where there is a great deal of intractable pain and suffering and with little or no connection to the world. It is these cases, where everything that one might hope for seems to be stripped away, that require us to think again about the nature of hope and dying. The supporter of the standard account of hope may still wish to utilise tactics about looking for certain objects of hope under these extreme circumstances, it will just require us to look for objects of hope in different directions than usual. For example, we might orientate the object of hope towards very modest goals, such as the hope that pain relief will be slightly better tomorrow. Alternatively, we might turn the object of hope outwards, such as a hope that your family will continue to live a happy life after your death. These attempts at identifying possible objects of hope may prove useful but they will not always be applicable in the most extreme cases. More importantly, however, is that they will not always provide a means of addressing the sort of despair that people can experience when dying. The constant search for an identifiable object of hope fails to manage what really matters in these circumstances that gives rise to despair: fear of the prospect of one’s own death as a result of “dying salience”.15 Cases where even the limited objects of hope run out include experiences of suffering that are deemed so terrible that one only wishes for one’s immediate death or experiences where the process of dying holds only the prospect of protracted suffering. It is such cases that may seem as if hope is not possible, leaving only the possibility of despair.16 Of course, many of the fears and trepidations surrounding dying will be universal to everyone. However, such extreme experiences strip away many of the features of life that we may grasp hold of and find meaning in. In the absence of those things that we might normally find hope in, it might seem that despair potentially plays a much larger role when it comes to facing the end of life. Dying can therefore tell us something about hope: that there are circumstances that we all may face (should we face, for example, certain kinds of disease or circumstance) where hope would seem to be important to us but is seemingly unavailable. Resolving this requires an account of hope that would not characterise hope in the face of death as an irrational, false hope. Although I have focused on the ‘standard account’ of hope here, it is important to acknowledge that there have been multiple attempts to offer alternative formulations of this, including, for example, through several approaches to greater specification of the intentional attitudes involved in hoping,17 or as treating hope as something other than a belief-desire pairing, such as an emotion, a disposition or capacity, a process or activity, or some combination of all these things.18 Yet none of these approaches are suited to helping us to establish how it might be possible to instil hope in some of the most demanding, extreme contexts that facing our inevitable death can generate.19 Greater specification of intentional attitudes, for example, will not help in the circumstances outlined where there appears to be no identifiable object of hope. The alternative virtue-theory accounts, such as that offered by Kadlac (2015), which take hope as a virtuous character trait, would be too demanding as a means of helping to foster hope in the dying. If hope is a virtue in this sort of Aristotelian sense then, while it does provide reason why developing a hopeful disposition is an important part of our character development over our lifetime, it cannot be of assistance in establishing what hope when dying might consist in for those who have not already developed their virtuous characters in this way. For a dying person to discover that they should have been developing their virtuous character throughout their lives is not a helpful approach for carers to take. If the dying person does not already possess such a virtuous character then it is too late for them to develop it. Of course, those who have developed certain dispositions over the course of their lives might well be able to face their impending death with the sorts of resilience, fortitude, calmness, and suchlike that means they are not disposed to give over to the despair where others might. Such a virtue-theory approach will certainly explain types of cases where there is despair and an absence of hope for some dying persons. What it will not do is provide an account that enables those without these pre-established dispositions to grasp for a form of hope that would otherwise elude them. It would be to leave them with no hope, to consign them to despair. Nor will it allow those engaged with the care of the dying the scope to avoid the paradox of hope and approach the possibility of maintaining hope under these circumstances. Therefore, with either the standard or virtue-theory approaches to hope, explanations as to how one could find hope in extreme end of life situations remain elusive. It is here that Marcel’s approach to hope has a number of useful qualities that make it apt for development in this area.20 As a general approach to hope, Marcel was interested in many of the seemingly most hopeless situations involving ‘trials’. More specifically, his approach considers the nature of hope from its perceived opposite positions of hopelessness and despair; exactly those states which need to be overcome in extreme situations. Furthermore, it does not require there be a specific object of hope, that is, some particular desire or aim that we hope to achieve, but instead seeks to build hope as an overall stance towards life. Finally, it is an expectation of such hope that one is fully aware of one’s situation and the likelihood of a dreaded outcome. The approach therefore has great potential to resolve our desire to both utilise the language of hope and to account for a way to improve the lives of those in the most terrible situations without the need for us to engage in deception as to the attainability of perceived objects of hope. Although it does require that a dying person be able to find some sort of meaning in the other-regarding type of concern that solidarity itself requires, it does allow a focus for their energies in order to establish hope in this way, rather than facing the fruitlessness of looking for objects of hope or the demandingness of character change. Marcel’s account of hope was a guiding principle for his wider philosophical enterprise but it contains some astute observations as to the nature of hope. This includes one of the most compelling accounts of hope’s opposite, despair, without which he views the possibility of hope itself as meaningless. The significant difference in Marcel’s approach to most other accounts of hope is that he takes hope as “absolute” or “unconditional” rather than as a desire for a specific object or state of affairs with an associated belief about the relevant possibilities.21 Marcel’s account of the experience of hope thereby explains the possibility of what is sometimes called “hope against hope”,22 in that it purports to show why it can be both rational and, indeed, admirable to hope against the odds; to hope in a way which isn’t directed to conform to the possibilities of desire-satisfaction. Such an account avoids the difficulty of the standard account of hope, where to ‘hope against hope’ is to have a false hope because on must have a belief that the desired outcome is possible. Instead, the maintenance of absolute hope is compatible with being fully aware of an undesired or even terrible outcome. While not specifically designed as a means of addressing the problem of dying,23 but stemming from his reflections upon the experiences of prisoners in WWI, the fundamentals of Marcel’s conception of hope are useful in providing the foundations for maintenance of hope in the face of death or other forms of extreme suffering. Marcel (1962: 30) saw parallels between captivity and illness, as both involve what he took to be a central human experience: situations in life which are deeply and personally involving which also may prevent a person living in the “fullness of life”. These situations, which Marcel calls “trials”, are ones in which adverse outcomes are of profound personal importance. They are outcomes which any individual would find deeply meaningful. Hence, they are also those situations that give rise to the temptation of despair. Accordingly, hope is conceived of as a response to this temptation to despair. So, while the standard account of hope may capture our everyday cases of hoping, Marcel’s account deals only with hope in those situations that are significant enough for the human condition to threaten us with despair. Hope itself is therefore explored through a contrast with the features of despair, and it is from explaining the nature of despair that we are able to gain significant insights into how and why it explains the possibility of having hope when dying. Marcel characterises despair as having three central features: (i) capitulation to one’s fate, (ii) the view that time is ‘closed’ and will bring no new factors for positive change in the future, and (iii) a sense of solitude and withdrawal from the world. Analysing these aspects of despair will help to form an understanding of what it is to experience conditions so desperate that they might be considered hopeless and establish how an account of hope needs to be able to address them. The first of these features, capitulation, is not simply recognition of the inevitability of my fate, such as accepting my illness is terminal and incurable. Rather, it is “to go to pieces under this sentence…to renounce the idea of remaining oneself” (Marcel 1962: 37); where one becomes so absorbed by the idea of one’s own destruction that it is all that is anticipated. This aspect of despair leads us to abandon our sense of personal self and to identify instead with what it is thought the trial will make of us: to identify ourselves solely with the adverse outcome and to give up on oneself. One aspect of hope is therefore established in contrast to this state of despair, involving rising above the fascination of one’s inevitable end and finding some means of retaining personal integrity or sense of self in the face of it by recognising the situation but still refusing to be crushed by it. This refusal is a refusal not to anticipate or dwell upon one’s fate. As a feature of terminal illness, maintenance of this sense of self would inevitably be a significant part of understanding what it is to “live until you die”. The second aspect of despair, an experience of time as ‘closed’, is a matter of viewing everything as already being fully determined. By experiencing the passing of time in this way, the belief is formed that time will bring no new possibilities but only a “repetition of the factors that affect my captivity” (Godfrey 1987: 106). This aspect of despair goes hand in hand with the first one – the anticipation of the inevitable outcome – as the passing of time becomes an impatient waiting for this end and a refusal to engage with any perceived delay towards reaching that end. The realisation that there is nothing more is what leads to despair. Therefore, in opposition to this, hope is to be partially characterised by a view of time as open rather than closed. To have such an experience of time is to have an ability to wait, but to wait patiently and actively rather than impatiently. So although the inevitable outcome is clearly perceived, it is not fixated upon, it does not fully and obsessively dominate one’s consciousness; and allows life to be maintained without being distorted by one’s inevitable demise. Time therefore also remains a creative process, containing the possibility of new experience, rather than the closed experience of life as having nothing more to offer. As time seen as closed is also a conception of time as enclosing or imprisoning us, this leads to the third aspect of despair – solitude and a withdrawal from the world (Marcel 1962: 60). Despair, when characterised in terms of solitude, is not the physical isolation of being alone, but rather the turning inwards of oneself to focus only on the inevitable end, thereby abandoning involvement with other people. Absolute hope, in contrast, would seek to maintain a communal aspect to life. This is what distinguishes Marcel’s account of hope most dramatically from the standard account. Absolute hope is not primarily hope for a specific object or state of affairs. It is best understood as ‘hope in someone’,24 and this communal aspect of hope is one of the most distinctive features of Marcel’s account, and also one of the most challenging yet important to explain. Any development of absolute hope will therefore need to explain this element; something I return to in the next section. One way of understanding the importance of this communal aspect as the basis of absolute hope is to see hope as not being self-centred or wanted “for my own sake”.25 Absolute hope is therefore not so much hope for myself but rather hope in terms of the sharing of life and outcomes. Marcel takes a continued participation with others as possible because absolute hope is conceived as a relationship between me and another, rather than me and some desired object as one might find in accounts of hope similar to the standard account. Unfortunately, this aspect is also the most challenging aspect of Marcel’s account both to grasp and to develop. Marcel requires there to exist a relation of communion (1962: 54); one that is ultimately described by him as: “I hope in thee for us.” As this creates a requirement for there being some “other” for the one who hopes; the key question is who or what might this “other” be? To answer this, it is worth considering the famous illustrative example he uses of a prisoner-patriot. Despite his own captivity, the prisoner-patriot does not have to declare all is lost for his country but can maintain absolute hope even in the face of his own perpetual incarceration or execution by the enemy, so long as he is joined with fellow patriots through a bond of communion. The “others” in such circumstances would be those with whom the prisoner-patriot shares his desires for liberation, so hope is placed in all patriots struggling for freedom. More pertinently, in the case of the dying person, there would be the possibility of not descending into despair and going to pieces at the prospect of his impending death if he has someone with whom he can share his anxiety through a communal bond. Yet this is not a simple relationship. The “other” or “thee” in whom he hopes should not be seen simply as presenting the dying person with the power to withstand the temptation to sink into despair, nor should they be seen as simply activating the inner resources of the individual to do so. Instead, Marcel considers appropriate communion to be based on a bond of love between the individual and this other in a way that means something more than a causal interaction. It is in explaining this communion that the theistic element of Marcel’s account is introduced. The reason that the relationship is of a more complex nature is the other element to the “I hope in thee for us”, namely, the “us”, which helps to explain what this bond of love amounts to. What is unusual is that although the “us” can be social or between people, it is also potentially intra-personal, allowing me to be a community with myself. Therefore, the other with whom I aim to form an “us” may be an aspect of myself as much as another person or other people. It is here that Marcel turns to a theistic explanation as to who, ultimately, the “other” must be. Marcel explicitly states that the only possible source from which this absolute hope springs is the “infinite Being to whom it is conscious of owing everything that it has and upon whom it cannot impose any condition whatsoever without scandal.” (1962: 41) This “infinite Being” is God, as Marcel takes this to be the only way of ultimately guaranteeing the unconditional nature of hope. To lay down conditions would be to pave the way for despair again by allowing the possibility that God has withdrawn from me or that God has severed a bond of love, neither of which Marcel takes as possible with the unlimited love he sees as offered by God. No matter what, therefore, we can have hope through communion with God and the prospect of salvation. So, absolute hope has three central aspects which oppose it to despair. Firstly, hope allows one to rise above the inevitability of one’s fate and maintains one’s integrity in the face of it. This means that hope is not crushed by the recognition of one’s inevitable fate, but also does not struggle against it and refuses to anticipate it in a self-obsessed way. Secondly, hope incorporates a view of time as open and filled with the possibility of experience. Thirdly, hope refuses to turn inwards into solitude: it has a communal aspect, which involves hope in others and which forms the basis of generating all three aspects of hope, stemming from the unconditional nature of God’s love. Given Marcel’s account contains many significant insights into the nature of hope and despair, an account of hope in the face of death is strengthened by maintaining many of these elements. However, for any account of hope to have a theistic foundation leaves it inaccessible for those who hold no religious belief or who hold a religious belief that has incompatible differences with the theistic foundations being offered. Therefore, we have every reason to also seek a secular foundation for an account of hope. In order to do this, I will outline how we might retain the important features of hope and despair from Marcel’s account while utilising a secular basis by appeal to a very different form of communal relationship, one based on the concept of solidarity. In order to properly understand this communal bond, we need to go back to an earlier contrast between standard accounts of hope and Marcel’s account of absolute hope. A major driver behind the need for absolute hope was that the standard account of hope, which is aimed at a particular object, must be limited in such a way that the hope is subject to disappointment brought on by failure to attain that desired object. Yet, according to Marcel (1962: 40–2), absolute hope does not exempt itself from disappointment. The point was not that we reject the possibility of disappointment but that the “one who hopes absolutely is not overcome by disappointment” (Godfrey 1987: 109). Maintaining this element of absolute hope would allow us to walk the line between making sure that we can present the situation of their imminent death truthfully to the dying individual while still preventing a slide into despair. To allow for this, absolute hope cannot be construed in such a way as to guarantee that terrible things will not overtake us because that would be to re-introduce conditions; precisely the sort of thing that allows for disappointment by allowing the possibility of their not being met. The setting of conditions forces one to retain an object or focus for hope in the same way that desire does. One does not, therefore, hope for an envisaged outcome, that is, does not hope that x, but rather simply hopes. This is a reflection of Marcel’s notions of being and having: we do not have hope; we simply are hopeful. ‘To have’ would imply some sort of possession that is both external and disposable, thereby allowing anticipation of a goal or form of deliverance that can end in disappointment. Such a desired outcome can always be potentially thwarted, whereas simply maintaining oneself in hope means no particular state of affairs arising or failing to arise can prevent that hope. The key to not setting conditions for hope was to form a bond of communion so that, rather than there being an object of hope that the individual would want essentially for themselves, hope is founded on the relationship with another. The bond requiring this presence of another is a means of addressing despair, particularly the aspect characterised as leading to solitude and a withdrawing from the world (Marcel 1962: 54–5). Hope, by contrast, has a communal aspect of ‘hope in someone’ through the sharing of life and outcomes. Therefore, when facing death, a person may see themselves as being isolated from all others but what would allow for hope would be turning towards and being received by another, to be a “neighbour”. Marcel (1962: 41) thought to do this, to have someone who we can always turn to and be received by no matter what, requires God as the “infinite Being” who provides love unlimited by any form of condition. Here, however, we need to ask to what extent is it possible to establish the sort of communal bond that is needed to support a secular account of hope when confronted with extreme situations and the temptation to despair when dying? The point of such a focus on a communal bond is that turning towards and being received by another to escape obsession with the dreaded conclusion of one’s inevitable death changes the disposition of the individual towards his or her self. Hence, in the case of the dying person, the calm, non-capitulating acceptance of one’s own death was seen to rest on a bond of love with an “other”. This means hope is understood not as “hope for me” but “hope for us”; that life is shared in a form of communion and that the focus of hope is the bond between us in the form of human community. Although God was the means of ensuring the continued loving presence of an-other for Marcel, with a reliance on community and a bond with others, a form of the loving communal bond that could provide a continuous basis for hope could be taken to be found in an expression of solidarity. The concept of solidarity has risen to prominence recently in certain fields within ethics as a means of addressing questions that require some focus on collective action, mutual support of interests, possessing shared aims and beliefs, or of ‘standing together’.26 It is this focus on collectives, on standing together, and on sharing burdens, that makes the concept of solidarity such a potentially fruitful basis for an account of hope. Moreover, the pull of using solidarity in this manner is further enhanced by the push to explore the concept more fully.27 If solidarity can be employed as a means of explaining the foundation for an account of hope in the face of death, this will add further weight to the role of solidarity as one of our key social normative concepts. Although difficult to precisely define,28 the common usage of ‘solidarity’ can be given simply as something like “mutual support within a group” or having “unity or agreement of feeling or action among those with a common interest.” This reflects several aspects that seem, even at this basic level, relevant to supporting an account of hope in the face of death: unity, common cause, and mutual support. However, it is unsurprising that from a ‘folk’ account of solidarity the definitions appear vague.29 The lack of unified, detailed work on the concept has been well noted.30 This means a number of challenges are present in trying to establish a more explicit definition, given the term ‘solidarity’ can be used in different ways within a given area of discourse.31 The focus for an account of hope is on the normative senses of the concept so that it provides reasons why we think or act in a certain way, rather than simply be a description of something we happen to do. Most prominent in this definition is the idea of “right relationship”, which has a technical meaning for Jennings and Dawson concerning mutuality. This is the mutuality of interdependence, care, and concern for others. Solidarity is an aspect of this mutuality that allows us to see that our own actions are bound up with the well-being of others. Solidarity therefore embodies a whole range of related ideas that stand at odds with an individualistically-orientated view of society. It includes not only the aforementioned mutuality, but also various aspects of the common good, such as community, sameness, and sharing. This is different from individuals simply happening to decide to cooperate and forming purely instrumental ties with other people that allow them to benefit. Instead, the language of solidarity forms around the moral recognition of there being some intrinsic value to our social existence; that we are not simply separate individuals taking more or less rational views about what constitutes our own self-interest. Although solidarity is still seen as fundamental to the foundations of ethics,36 Jennings and Dawson try and account for the nature of solidarity by appeal to some of the more commonly understood aspects that are found in folk uses of the concept; expanding and explaining how many of our intuitive associations with the term can be unpacked to form a more substantial definition. Solidarity is taken as having four distinct dimensions: one foundational and three relational, all of which derive from appeal to our notions of unity and mutual support.37 The foundational dimension is solidarity as a form of ‘standing up beside’. The relational dimensions are ‘standing up for’, ‘standing up with’, and ‘standing up as’. These aspects all help underpin how solidarity can be used to support an account of hope when dying. Jennings and Dawson’s account of solidarity therefore seeks to capture certain important aspects of the human condition, particularly how we, as human beings, can bond together in a way that allows us to take a stance towards substantial problems where non-collective activities are unlikely to bring a solution. The emphasis on communality in their conception of solidarity is particularly relevant to the successful development of an account of hope in the face of death. We no longer need recourse to a theistic foundation for an account of hope that contains many of the key elements identified by Marcel. In order to provide a conception of hope that can genuinely be said to address the challenges or ‘trials’ that dying in extreme circumstances presents, capturing this communal bond through appeal to solidarity is vital. The aspects of community and engaging with others that are required for this can be achieved through appeal to humanity and our understanding of what it is to be joined together in being human. Such communal bonds within Marcel’s account required that the relationship with others is not simply a causal interaction; there is no ‘counting on’ or ‘expecting from’. It is not, therefore, that a dying person needs to be in direct contact with some “other” with whom they can have such a bond, only that they are able to exist in a community with whom they can turn towards in order to place their hope. It is here that the foundational dimension in Jennings and Dawson’s account of solidarity – ‘standing up beside’ – can be appealed to. This implies some visible, intentional commitment to stand up beside an individual, group, organisation, or even an ideal. So, for something akin to a bond of communion to be in place between a dying person and some appropriate “other” would be for there to exist a shared solidarity to ‘stand up beside’ those who are dying. To help understand this, consider once again Marcel’s example of the prisoner-patriot. Here, the prisoner-patriot shared a communal bond with other patriots, preventing him from despair in his captivity by placing his hope in the sharing of ideals not only with those who are directly engaged in his specific cause for his country but also with all those who would stand against oppression. Therefore, the hope was not placed in the goal of liberation for the patriot’s country – that would be a desired objective with a set condition – but in the shared bond between all those who would stand against oppression. In cases of terminal illness, one aspect of this form of supportive solidarity might help to capture an important aspect of a communal bond – that of ‘oppositional solidarity’ (Jennings and Dawson 2015: 35). ‘Standing up beside’ someone or some group who is oppressed is, at the same time, also a ‘standing up to’ the agents or forces of oppression. So when considering hope in the face of death, the aspect of solidarity upon which the hope is founded would be the commitment to stand up to the oppression of dying. What constitutes ‘standing up to’ the oppression of dying takes us back to both what is important in the dying process and what leads us to despair in that situation, that is, how is it possible to ‘live until you die’ when confronting one’s death in full knowledge of its inevitability with a form of ‘dying salience’ noted earlier. The task for an account of hope in these circumstances would be to explain what will help us not ‘go to pieces’ and become obsessed with our inevitable end, such that there is seemingly nothing the world has to offer, leading us to withdraw from it entirely. One possible way of identifying the nature of solidarity at work here is to consider how the focus of hope has to be ‘hope for us’ rather than ‘hope for me’.38 One mustn’t lose sight of the inevitable reality that is confronted with the prospect of imminent death. Therefore, whatever solidarity brings, it is not the sort of ‘false hope’ for cures or other desired outcomes in which we might be disappointed if they do not transpire. A clear focus can still be present so long as it is ‘for us’ in an unconditional form so that the possibility of disappointment or outcomes not transpiring is not a part of it. Given dying is universal, that it reflects something of the human condition, it is arguably the case that all people are in a position to share in solidarity the fears of facing imminent death. So, on the broadest scale, it might be claimed that all humans could ‘stand up beside’ the dying in the shared goal of overcoming the fear that death and dying presents us with. However, this might be too wide in scope and scale to constitute a sufficiently focused group with whom one grounds one’s hope in solidarity. Instead, it might be preferably to consider being in a state of solidarity with all those who are directly experiencing the prospect of their own death or even, in some instances of the dimensions of solidarity, those who are somehow vested in caring for the dying as well. As dying is a universal predicament for humans, that dying will never cease and fears surrounding dying are unlikely to end, such solidarity has a substantial footing as a shared and unconditional bond between those involved. It is not a form of solidarity that can disappear whilst humans continue to exist. There will be an unconditional bond of solidarity between all those dying, and a potentially stronger bond between those dying in particular or more extreme circumstances, through their identification with each other as being in a particular group that needs help and support. Knowledge that this bond exists, that the experiences are shared, that it is possible to have hope for all of us who are facing imminent death, is the grounding for hope when dying. No theistic underpinning is required because the universal nature of our own mortality combined with the bond of solidarity in virtue of this generates a form of unconditional bond that can ground this form of hope. Just as with other human conditions, such as illness and disability, the foundational dimension of solidarity as a form of ‘standing up beside’ holds of dying as well. To engage in this form of solidarity does not require fully embracing the distinct perspectives of those others with whom one stands, although the higher dimensions of solidarity might. However, the solidarity of being an embodied, vulnerable, social organism that is part of being a human is widely open to all. In this sense, any human can stand in solidarity with those who are dying, as long as they are making an active commitment to do so. Subsequently, moving towards the other dimensions of solidarity - ‘standing up for’, ‘standing up with’, and ‘standing up as’ - involves a greater ability and capacity to see connections between oneself and the others one with whom one stands in solidarity (Jennings and Dawson 2015: 37). The second dimension of ‘standing up for’ suggests an intention to assist another and to stand up for some other whose situation is morally problematic. In doing so, the motivation of solidarity is a moral commitment derived from how the very act of ‘standing up for’ establishes a mutuality and reciprocity between those involved in the struggle. This is a fundamental component of underpinning hope for the dying – that there is a mutuality between all those who are dying in virtue of their standing up to their inevitable fate. That all those dying are standing up and facing their inevitable death is what bonds them together in a way that the mere mortal condition shared by all humans does not. The third dimension of solidarity as ‘standing up with’ is meant to establish how the solidarity relationship develops from that of a supportive stranger-to-stranger one to a stronger bond of mutual recognition between parties. This leads to the recognition of a commonality between people or groups. It is here that the existence of a stronger bond between those who are terminally ill and facing extreme dying circumstances allows them to be recognised as members of a distinct group – a group that shares the same goals and struggles. They are no longer individuals who are strangers standing up for other strangers but bound together as recognisable members of this group. Finally, the fourth dimension of solidarity is “standing up as”, which implies an even stronger degree of identification between those engaged in support through solidarity and the recipients of the support. This involves finding connections that establish the grounds of respect for others. It allows one to project into the perspectives of all those facing the inevitability of their own death under different circumstances and an identification with the diverse people who are dying across the world while confirming that our humanity depends upon the complex community in which we live, sharing common needs. Although this is just a tentative outline as to the relevant features of solidarity that might constitute the basis for hope in the case of dying, there is clear scope for solidarity to provide just such an underpinning. The different dimensions of solidarity can offer the sort of communal bond that a dying individual can place their hope without the need for specific objects of hope or specific expectations that will arise from others with whom the communal bond exists. As long as there are people around the world who are dying, who are themselves experiencing the same fears, and who find mutuality in confronting those fears, then hope can be placed in ‘us’; in all those who share that common bond. It keeps open the communal aspect to life that is lost when the temptation to despair takes hold. The appropriate maintenance of hope when dying is directly reliant upon facing and coming to terms with the inevitability of one’s death. It is not characterised by, and indeed is not compatible with, a desperate search for any cure or prolongation of life or the optimistic attitude that everything will turn out for the best.39 Instead, it is the refusal to allow the truth of one’s dying to saturate all other aspects of life, thereby preventing the descent into despair that might otherwise come with the prospect of one’s imminent death. Given this account is based on how a secular interpretation of Marcelian absolute hope might be generated, it is a genuine concern that such hope is not, in fact, what we mean when we commonly use the term ‘hope’. This objection is, to some extent, correct. There are many varieties of ‘hope talk’,40 and there would be no reason to call the standard account of hope ‘standard’ if it did not provide an intuitively acceptable analysis of a very common use of the term. However, it is unable to account for hope in extreme cases of dying. The account outlined here explains how hope might be maintained even in the most extreme circumstances that a dying person can experience through placing one’s hope in the solidarity that exists between all other dying individuals. In doing so, it offers a solution to the purported ‘paradox of hope’. Hope can be genuinely fostered in a way that requires no deception of patients about the severity of their condition or the prognosis, and hence practitioners need not be wary of employing the language of hope as part of their care for their patients. These include both theoretical and empirical discussions of hope in the fields of philosophy, bioethics, medicine, and areas of ecology, for example, Dufault and Martocchio (1985), Waterworth (2003), Smith (2008), Meirav (2009), Coulehan (2011), Barilan (2012), Cohen (2013), Martin (2013), Kadlac (2015), Brei (2016), Merrick (2016). Such a problem is alluded to by McGeer (2008) and Smith (2008). It is worth noting that Smith (2008) draws attention to the multiplicity of uses of hope through highlighting an ambiguity between the treatment of hope as an organizing philosophical ideal or ‘principle’ and a discrete philosophical topic or ‘theme’. While I agree hope is ambiguous in this sense, I am here treating it as a cluster concept for the purposes of its philosophical analysis as a discrete theme within philosophy. As I will discuss later, ‘despair’ should be understood as the opposite state of hope, characterised as living with the ‘absence of hope’. The idea of construing an idea of hope in the face of death as a means of facilitating a universally applicable account of hope has been suggested elsewhere, for example, Barilan (2012) p. 168. This focus is due to the particular importance and universality of facing death. However, other extreme situations, such as imprisonment, may also fall under this account of hope. I am here deliberately avoiding religious positions where appeal to a deity or some form of life after death can be used to focus one’s hope upon. Such accounts may provide a plausible explanation of the nature of hope within standardised accounts, such as the intentional account of hope, and yet only be applicable for those who hold such a religious view. A secular account of hope, on the other hand, would be open to all individuals who would wish to appeal to it. In case one does not consider the avoidance of despair reason enough to be counted as a benefit, there have been numerous studies that establish various additional benefits of maintaining hope in terminally ill patients and those around them. See McGeer (2008) p. 246 for a discussion of supporting studies. It is also worth noting one other extreme situation here: that faced by those imprisoned in Nazi concentration camps. The benefits of maintaining hope can be found in Bettelheim’s (1960) famous but harrowing descriptions from his own eye-witness account of the noted difference between those who did and did not give up hope; with those who did being described as ‘the walking dead’. The nature of a ‘good death’ has not received much philosophical attention but see Wrigley (2018). This problem was explicitly addressed as a philosophical conceptual concern in a bioethical context by Garrard and Wrigley (2009) and also identified in professionally orientated publications by Tanis and DiNapoli (2008), Cohen (2013), and Eaves et al. (2016). It has recently returned as an issue in feminist bioethics in Merrick (2016). See, for example, Lamont and Christakis (2001); Gordon and Daugherty (2003); Numico et al. (2009). However, as Merrick (2016) p. 106 points out, there have also been studies that indicate that such bad news does not always have a devastating effect on patients, e.g. Smith et al. (2010). That being said, detailed study by Little and Sayers (2004) into different types of extreme experience involving the possibility of death in cancer suffers has given a more mixed picture as to how experiencing the most extreme situations can lead to a loss of hope. The early work on hope was, unsurprisingly, theological, with hope considered as one of the great Christian virtues, as found in the writings of St. Augustine’s Enchiridion - see Bourke (ed.) (1964). Other notable accounts straddled both theological and secular positions, such as that offered by Kant across different works with different aims, notably his account of hope as a legal and political striving for civil peace in his Perpetual Peace (1795), hope in the context of the highest good and deserved happiness in his Critique of Practical Reason (1788), and hope for the ethical commonwealth and the kingdom of God in his Religion Within the Limits of Reason Alone (1793). For an extremely interesting discussion of Kant’s arguments concerning hope, see O’Neill (1996) and (2015) and also Stratton-Lake (1993). This analysis has its roots in Hobbes Leviathan, and is also found in numerous other great philosophical works, such as Locke’s An Essay Concerning Human Understanding and Hume’s Treatise on Human Nature, but has been more recently used as a basis for a conceptual analysis of hope in Day (1969). Initially the account given by Day (1969), this term is used, for example, by Meirav (2009) and Garrard and Wrigley (2009). This approach also features in work on intentionality, such as Searle (1983). See McGreer (2008) p. 246. This term is used to describe a state of growing awareness of one’s own inevitable death rather than an awareness of one’s mortality more generally (or “death salience”) from studies on terminally ill patients by Little and Sayers (2004). There have been numerous studies amongst dying patients that have gathered information about the most pressing and commonplace fears that surround dying. These include: pain in the process of dying; a loss of control that requires dependency upon others; isolation from family, friends, or even anyone at all, so that one dies alone; indignity in the dying process; becoming a burden on others; leaving loved ones and the fear of what will happen to them without you; the reaction of others to one’s own dying and their potential grief; existential questions about the meaningfulness of life; entering the unknown and contemplating life after death; a fear of extinction and the end of all one’s plans and projects; and concern over what happens at the point of death itself. See, for example, Faull et al. (2012), ch. 7 or Authers (2008). For example, Meirav (2009) has argued that the belief and desire attitudes towards an object from standard accounts of hope should be supplemented by an additional attitude towards an external factor. Bovens (1999) has proposed that we add extra conditions such as the amount of mental energy the hoper expends on the desired outcome. The analysis given by McGeer (2008) p. 244 covers many of these approaches. The major alternative account of hope is to treat it as dispositional, in the sense of it being a sort of Aristotelian virtuous character trait that contributes to human flourishing, rather than intentional. This dichotomy of approach to hope is seen clearly in Smith (2008). A similar division is also found in Dufault and Martocchio (1985), who distinguish between “particularised” and “generalised” hope broadly synonymous with intentional and dispositional hope, respectively, but which has been derived from empirical observations of patients with cancer. 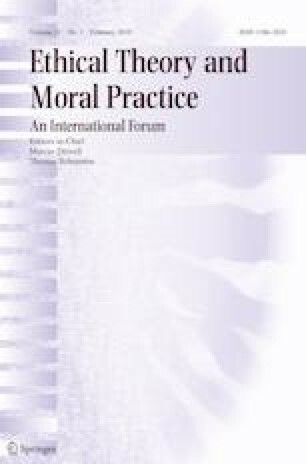 While a dispositional approach has been pursued by Kadlac (2015), who likens hope to the well-established virtue of courage, problems surrounding exemplifying and instilling dispositional character traits at the end of life make it unsuitable as a basis for an account of ultimate hope, as discussed by Stratton-Lake (1999). This point has been argued in detail by Garrard and Wrigley (2009). That Marcel’s approach to hope might be useful in application to cases of dying and terminal illness has been argued by Garrard and Wrigley (2009), and also as part of the basis of Coulehan’s (2011) account of “deep hope”, which he sees as a recognisable form of hope held by those facing terminal illness. Neither of these approaches, however, offers the development of Marcel’s account via a secular interpretation based on solidarity as I do here. Instead, Garrard & Wrigley simply raise the issue of requiring a secular account but do not develop it further; whereas Coulehan suggests “deep hope” may be part of a “generic mystical experience, accessible to believers and nonbelievers alike” (Coulehan 2011) p. 156 but does not further explain what that might be. Marcel (1962). However, Marcel is not the only author to have attempted a substantial account of hope. Others notably include Kant (1788), Bloch (1986); and Godfrey (1987). As expressed by Stratton-Lake (1999) p. 139 in his commentary on Marcel’s account of hope. That being said, Marcel did consider that the possibility of death was a necessary condition for the possibility of absolute hope, where a world where death was missing would be a world where hope only existed in a ‘larval stage’ in Marcel (1965) p. 93. Stratton-Lake (1999) p. 150, emphasises this should be understood as being “primarily” the way it should be understood, as it is underdetermined whether the concept of absolute hope must always lack an object. This interpretation is given by Godfrey (1987) pp. 113–4. It also strongly resonates with what is termed “other-orientated” or “vicarious” hope by Howell and Larson (2015), who both recognise Godfrey’s theoretical interpretation of this way of conceiving hope and identify its existence as a feature of empirical research amongst groups who are experiencing or caring for those with serious illness. I take this term from Dawson and Verweij (2012). Jennings and Dawson (2015) p. 31. A point recognised by Prainsack and Buyx (2012) p. 344. The vagueness of the term ‘solidarity’ has been employed as a criticism by writers such as Rippe (1998) p. 357, and noted in the report on solidarity by Prainsack and Buyx (2011) pp. 34–5. See Jennings and Dawson (2015) pp. 31–2 and Dawson and Jennings (2012) pp.66–72. Thalos (2012) also gives some interesting analysis as to how the concept has received varying amounts of attention depending upon the discipline involved. Prainsack and Buyx (2012) p. 344. See also Dawson and Verweij (2012). A point made by both Derpmann (2014) p. 113 and Bayertz (1999). This is derived from their earlier work on solidarity, Prainsack and Buyx (2011). They acknowledge that this way of putting the recognition of similarity is itself taken from Jaeggi (2010). Jennings and Dawson (2015) p. 32. Their fuller definition also incorporates ‘right recognition’ – the recognition of the moral standing and respect of each person. This is a point Dawson and Jennings (2012) p. 77 make clear when they say “Solidarity...supplies an essential component to the answer to two fundamental questions: Why be moral? and What does it mean to be moral?”. Jennings and Dawson (2015) p. 35, although this approach stems from Jennings (2015). As has been previously noted, this is consistent with the identification of various forms of “other-orientated” hope, both theoretical and empirically derived, such as found in Dufault and Martocchio (1985), Godfrey (1987), Coulehan (2011), and Howell and Larson (2015). This is the conception of optimism which is contrasted to absolute hope. There are of course other and less crude construals of optimism, and some of them may be more akin to Marcelian hope than the conception which is considered here. See Godfrey (1987) pp. 7–9 for a brief overview of the many ways of using the term ‘hope’. I would like to thank Eve Garrard, Angus Dawson, Ainsley Newson, audiences at the VELiM Centre, University of Sydney, and the 13th World Congress of Bioethics in Edinburgh, as well as the anonymous referees of this journal, for their helpful comments and questions on earlier versions of this paper. I also gratefully acknowledge the funding from the Templeton Foundation’s Philosophy of Hope and Optimism Funding Initiative via Cornell University and Notre Dame University, that made the research for this article possible.